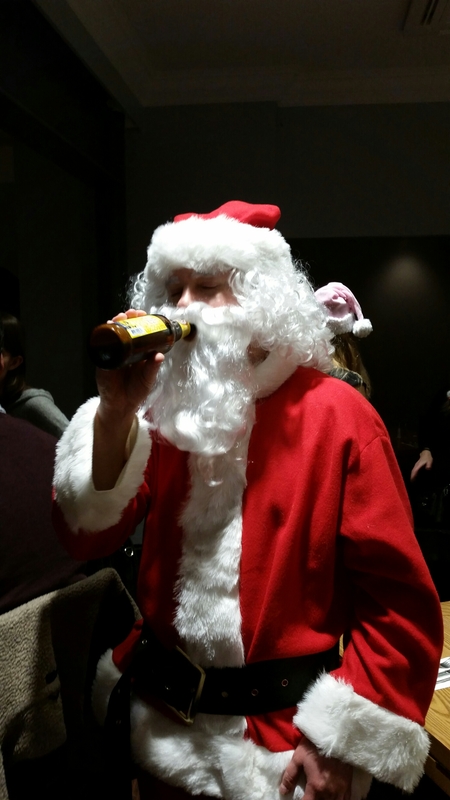 It wasn’t the official Santacon, that’s next week. A friend’s gf just put it together in Princeton NJ because… why not? Princeton’s got a great area of stores and bars near the university. And this could have been a literal crawl the places were that close together. My friend’s gf did a great job of planning. But no worries, Santa didn’t get sloppy and need to actually crawl. And it was a blast. The suit was great, though the wig and beard were kind of making it pretty warm underneath. 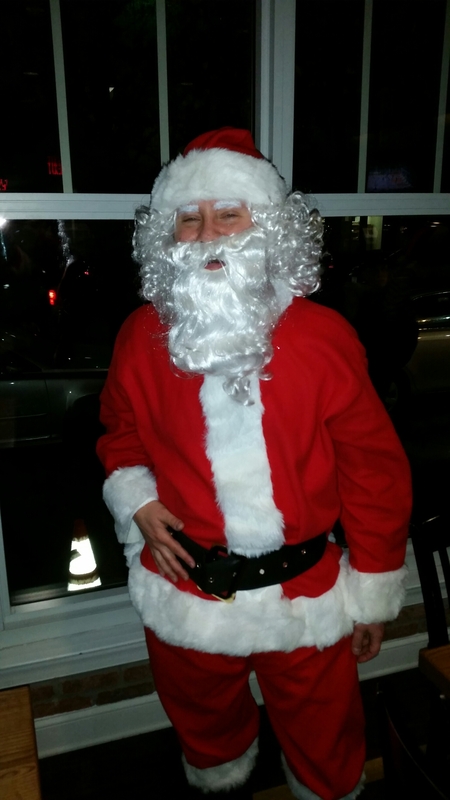 Now most people out were just out, not expecting a gaggle of Santas and other yuletide-clad folks. So yes, people stared, and honked… and screamed. A bunch a Santa Clauses, Mrs Santas, people just wearing Santa hats or other random decorations, we were walking conversation starters. Like on Halloween, it’s kind of liberating being in costume. We were all extra outgoing. Yes, I tried to “ho ho” and up my Jolly Index.